H—Staged: This section indicates the status of the tile. I—See Changes: Clicking this button takes you to the Pending Changes page for that tile. J—Apply Changes: Clicking this button deploys all enabled tiles. If you have changed the configuration of a tile in your deployment, use the Pending Changes page to review the changes to the existing manifest or configs line-by-line. This page summarizes staged changes to the existing tile’s configuration. The changes displayed in this page have not yet been applied to the deployment. This page allows operators to verify changes to the manifest and configs so they can approve any staged changes before applying changes to their deployment. 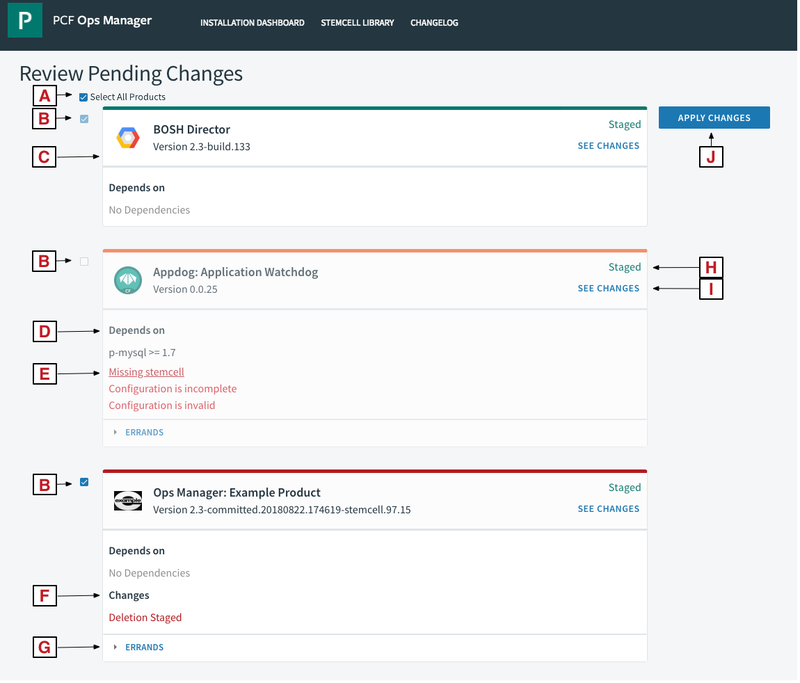 The change summary fields display features that have been enabled or disabled using the Ops Manager UI or API. These changes are staged, but have not been implemented yet. You must click Apply Changes to put these changes into effect. On the Review Pending Changes page, click See Changes on the tile you wish to review. A new tab opens. Review the changes displayed. Settings that have been disabled are displayed in red with a minus sign (-). Settings that have been enabled are displayed in green with a plus sign (+). Close the tab and return to the Review Pending Changes page to apply the changes or review other tiles. 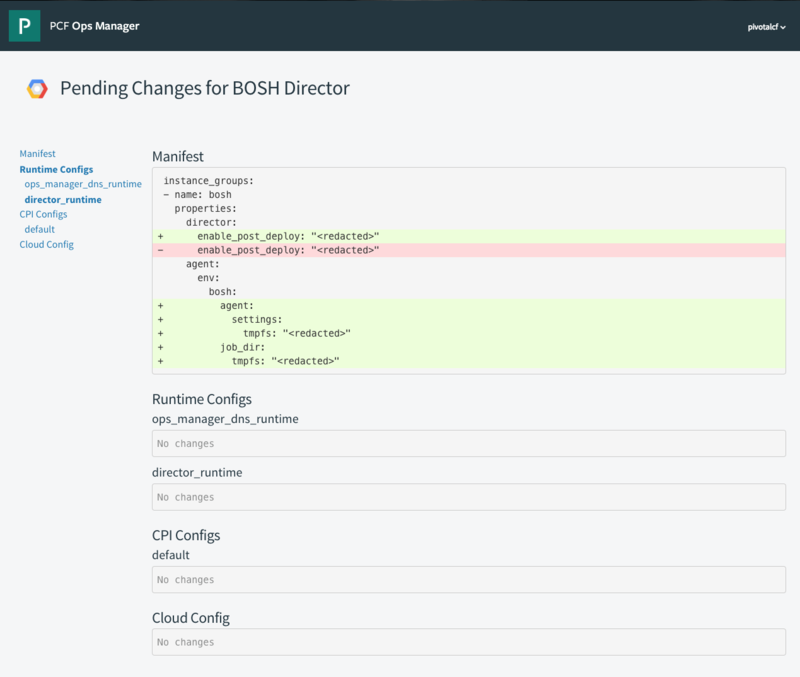 The screenshot below shows changes to the BOSH Director’s manifest. If an aspect of the tile has not changed, the change summary displays No changes. Note: Changes to errands do not display in the page UI.